Hollows normally only develop after trees are at least 100 years old which is why we value old growth forest so highly. This old Messmate (Eucalyptus obliqua) has a large hollow with a horizontal cut across the top and evidence of fire inside the tree. There are indications that the tree may have been used by Indigenous people for eel smoking. 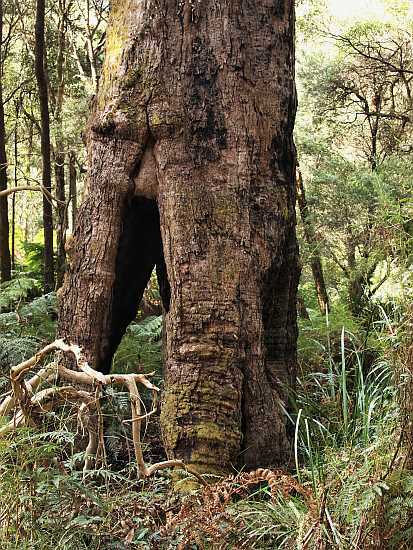 This could be similar to the hollow tree found by Dr Heather Builth in her work with the Gunditjamara in Western Victoria. Hollows develop as a result of some damage to the tree which may be natural due to fire, wind, insect invasion, limb drop or due to human activity. Fungal invasion will occur after physical damage resulting in the development of hollows. Hollows provide protection for numerous different fauna e.g. 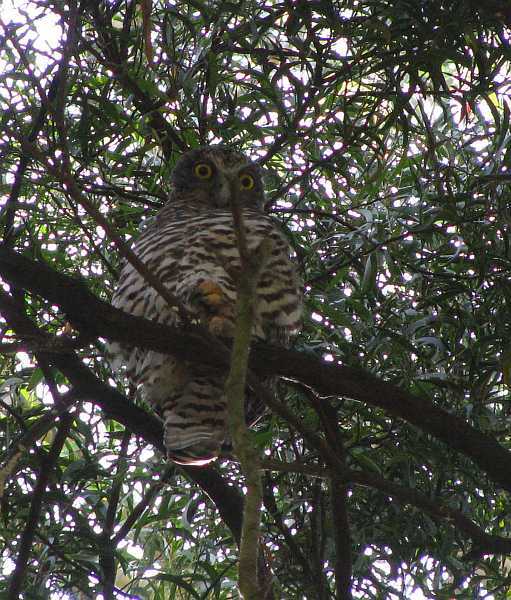 sugar gliders, antechinus, powerful owls and parrots. Please keep to the path at all times to protect this habitat. Entry to the site is opposite the Red Hill Recreation reserve. Access the Gully through gates but please leave them as you find them. Please do not venture off the track. Phone 9656 9804 for more information.